January 23, 2011 By This post may contain affiliate links. 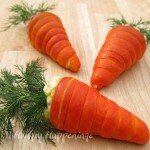 Valentine’s Day is all about the sweets, so why not make something instead of just going out and buying chocolate! These Chocolate Ravioli Hearts are the perfect way to show your affection. Chocolate is synonymous with Valentine’s Day and I always enjoy a chocolate treat for dessert. 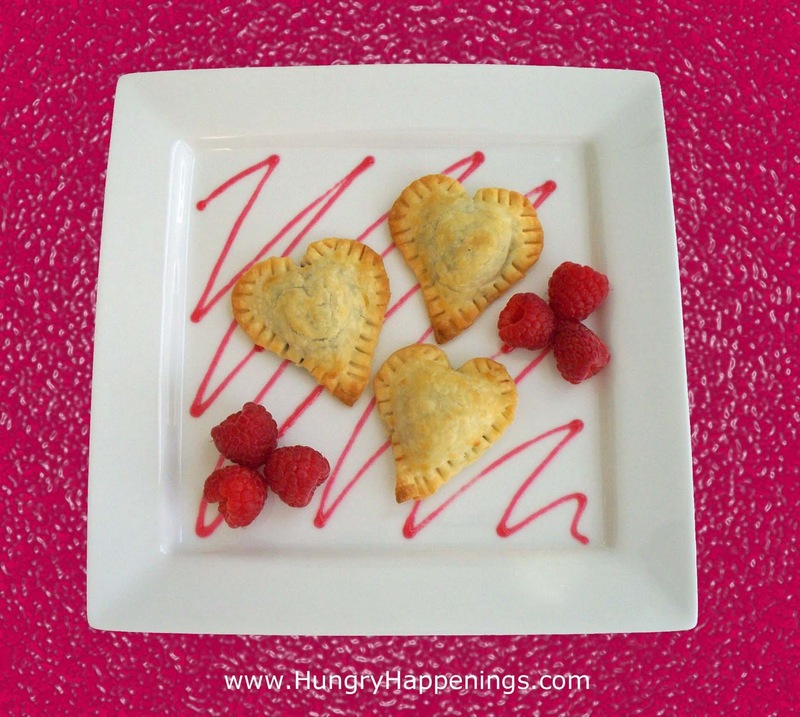 In keeping with the Italian theme for my Valentine’s Day meal featuring a Salad topped with Tomato Hearts and Chicken Parmesan Hearts, I decided to create a dessert ravioli filled with chocolate and served with fresh raspberries and raspberry preserves. 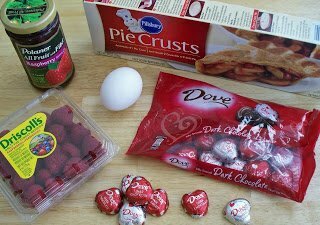 As discussed in my previous post, Valentine’s Day falls on a weeknight, so I have opted to use store bought ingredients to make this recipe quick and easy. I use Pillsbury Refrigerated Pie Crusts to create small heart shaped ravioli that are filled with Dove Chocolate Hearts. 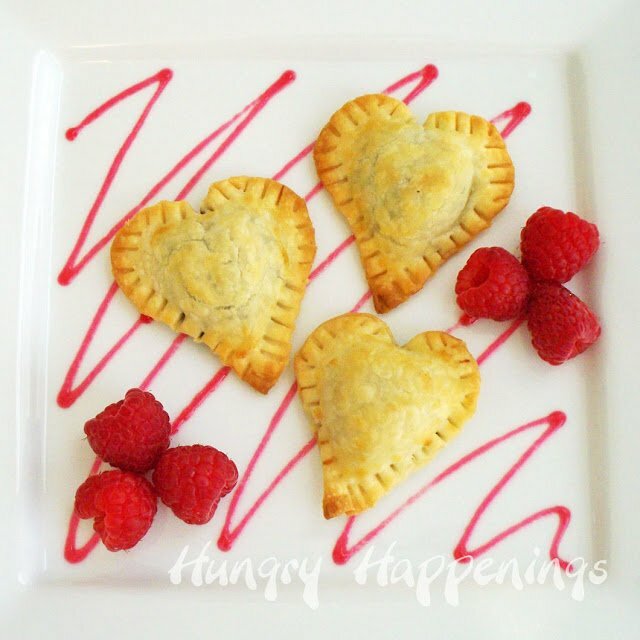 Served with warmed raspberry preserves and fresh raspberries, this sweet dessert can be made to look elegant for an intimate dinner for two or fun for a kid friendly meal. These little treats are best served warm, but can also be enjoyed cold. Pre-heat oven to 450 degrees. Line a baking sheet with parchment paper or non-stick aluminum foil. Thaw one Pillsbury pie crust according to package instructions. Unroll onto a work surface (I used a pie dough mat.) Use a rolling pin to roll the dough from it’s current 11 1/2″ to 12 1/2″, just to thin it out a bit. Cut 15 large hearts using the 2 1/2″ cookie cutter and 15 small hearts using the 2″ cutter, re-rolling the dough as needed. Set the 15 small hearts on the prepared baking sheet. Whisk egg white with water in a small bowl. Set one chocolate heart on each of the small dough hearts. 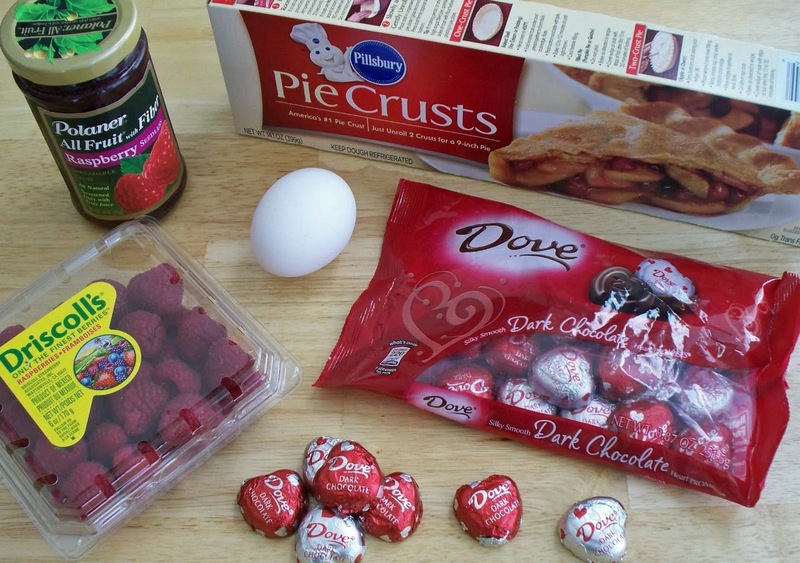 Brush egg wash on the dough around the chocolate heart (or just brush egg wash over the entire surface of the dough and place a chocolate heart on top – just do a few at a time or the egg wash will dry.) Top each with one large dough heart. Pinch the edges of the two dough hearts together to seal well. The top dough will overlap the bottom dough by a little bit and that is alright. Use a fork to crimp all around the edges of each heart ravioli. Brush the top of the heart with egg wash, for a more shiny finish. If you want, you can even sprinkle of bit of plain or colored sugar over each ravioli. Bake for 8-9 minutes until golden brown. Heat raspberry preserves in microwave for 10 second increments, stirring after each, until melted and smooth. 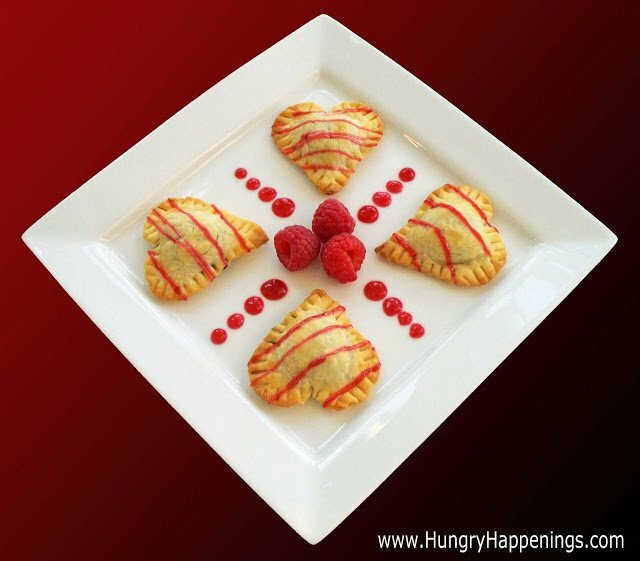 Arrange chocolate ravioli hearts on a dessert plate and drizzle with raspberry preserves. Add some fresh raspberries and serve while the ravioli are warm. I poured the raspberry preserves into a squeeze bottle with a small tip to decorate my plates. What a lovely idea! I've really enjoyed your posts on Valentine's Day, so many wonderful ideas! I'd love to feature them on my site if that is ok with you? 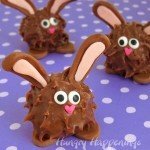 Loved how you used the chocolate hearts, that worked perfect! Hey Thanks Michelle. 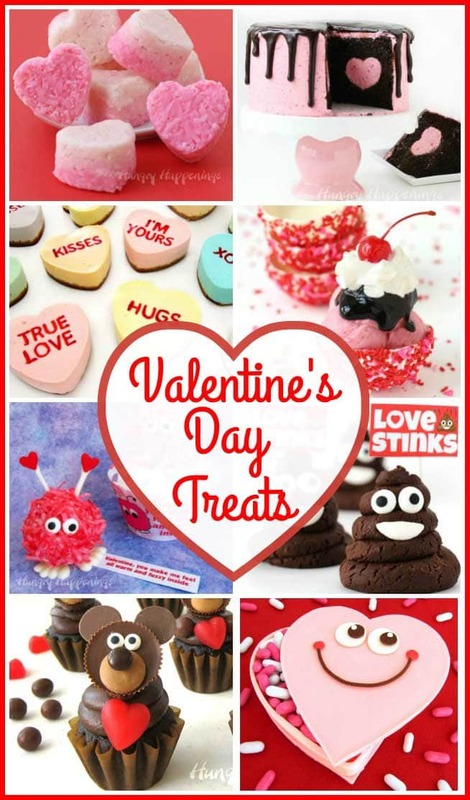 I'd love it if you shared my Valentine's Day ideas with your readers. I'm glad you found my new blog, and hope you enjoy my future posts. These look delightful, and I might actually be able to make them without goofing them up. Thanks Ellen. I'm sure you'll be successful making these. If you have any questions, let me know. These look so good! I'm thinking of making them this weekend, but don't think I will be able to eat all of them at once…are these good re-heated? These chocolate hearts are great re-heated. I put them in my toaster oven on the toast cycle and they were perfect. You can also re-heat them in the oven at 350 for about 5 minutes. Although, I must admit I prefer them warm with gooey chocolate centers, they do taste good cold, as well. The chocolate will harden as the hearts cool, but I didn't mind snacking on them that way. There are only two of us in the house, so we enjoyed these for a few days. I kept them in an airtight container on my counter for 3 days. Enjoy! Dove chocolates??? pastry??? A beautiful combination. Will be making them in the morning! I just found your site and will definitely be coming back! Such yummy things!!! I'm going to stock up on Dove <3's after tomorrow! I'm happy to hear that you made these hearts and enjoyed them enough to go out and buy more Dove chocolate hearts. 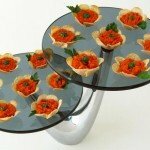 They would be perfect little sweets for a bridal shower or even a birthday. Have fun! You have great plating skills. Thanks for linking up at Bacon Time. Good luck! 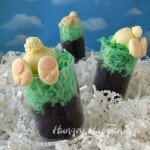 These sound delicious!! Thank you for sharing them at Sharing Saturday! I just pinned it so I can definitely try them. I Love these!! They sound absolutely scrumptious! 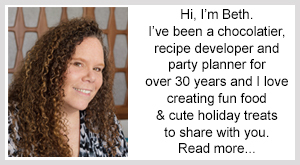 I hope you will link this project up to my I Heart Projects Linky Party. 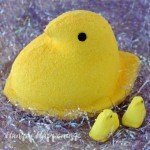 These are adorable!! I LOVE Dove chocolates & sandwiched between pastry…mmmm!!! ooooo. looks so yummy. I love dove chocolates 🙂 Thanks for sharing this with us at Sharing Saturday. I'll be sure to link up on your site, Jill. Good luck with your new party! I grabbed a button and placed it on my Featured On/Linky page. By the way amazing blog and ideas, I'm your newest follower! Thanks so much, Nickie. 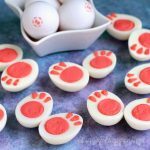 I really appreciate you featuring this recipes in your Top 15 Best Valentine's Day Treats round up!